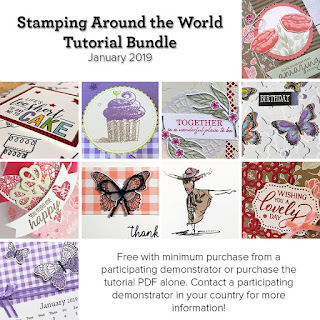 Since we are a brand new team being formed we decided it would be great to do a blog hop to let you know more about each of the designers from the Stamping Around the World Team, plus we would showcase the stamp set that we used on the tutorial that each of us created for the tutorial bundle! 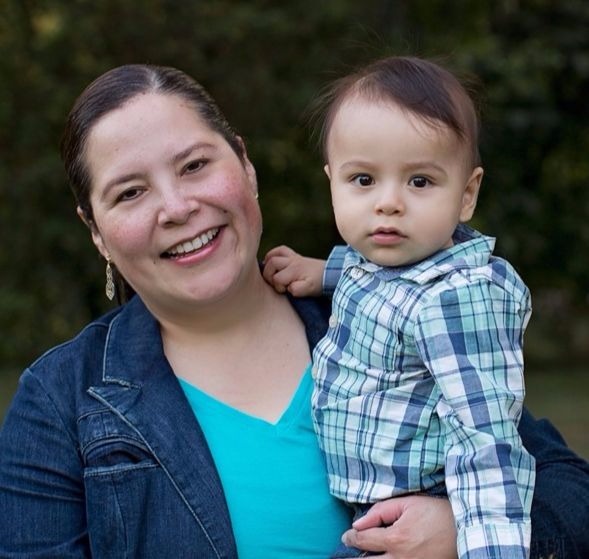 About Allie (me): I am originally from Mexico City, and moved here with a chemical company for which I have been working 16 years. I have been in United States - Texas for about 13 years, and while I miss dearly my family, friends and the food, I am not positive we would go back to Mexico. 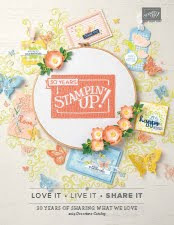 I have been a demonstrator for 11 years (this April) and I have not regretted the decision to join Stampin' Up!, I love their stamps and the color coordination on all their products, I honestly think that this is what makes the designing of projects go so easy! I am married to Edmundo for 12yrs and we have two little kids Oliver (2yrs) & Addison (4 mo) and a little 3 lbs yorkie Aitty. All of them keep me busy for sure ;-) but I would not have it differently! I love my family and they are my reason to keep going. 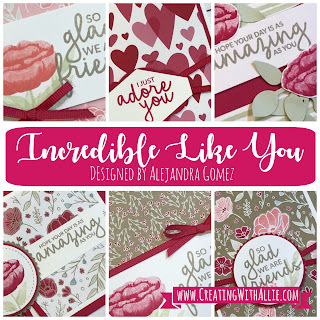 The card I am showing you today features the Incredible Like You stamp set!! this is one of my favorite sets from the new occasion catalog!! I love that you can get so many looks with the same set, the fonts and sentiments on this set are also great for friendship cards. The designer series paper that I used is the All my love. I can tell you that all the designs on this paper pack are fantastic and a lot of them can be used for valentine's!! As you can see on the picture below, I used the flax ribbon, which is really soft! I thought this would be very similar in texture as the burlap ribbon, but I was wrong, this ribbon bends smoothly and has a soft texture. For this card I decided to cut it in half to have a thinner version and have the zigzag made with the ribbon under the whisper white circle. 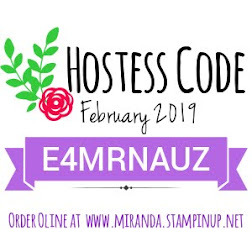 Don't forget to visit everyone else participating on this blog hop, I am sure you will enjoy knowing a bit from each of us as well as seeing the amazing projects that we all prepared for this blog hop! You can see the full line up below. If you like the project shown today, below is the supply list for all the items I used to make it. You can click at any of the images to go to my online store, where you can purchase any of these items!! There is also information regarding the card classes To-Go that I have available for you! Thank you so much for your business, I truly appreciate your support; Also don't forget about the NEW ordering incentive this year!! Beautiful card, Allie, I like the set as well (watch the space next month!). I like the DSP you used as well. I am waiting for my delivery to play. I’ll keep an eye on your tutorial next month 😉 thanks for stopping by! 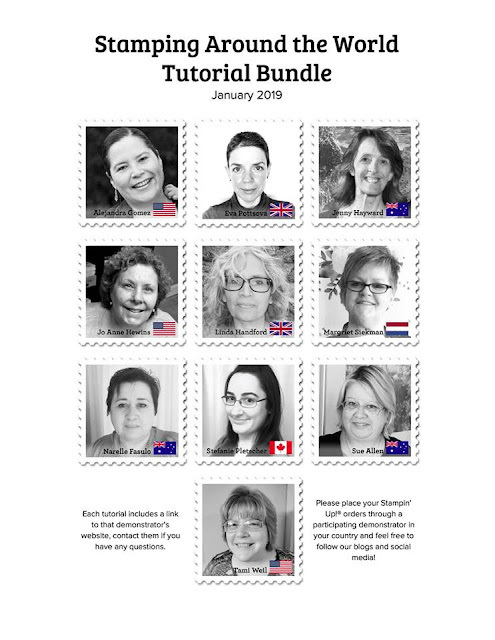 Thanks for joining the Stamp around the world team!! I am sure you will love playing with this DSP!! All the designs are ubber cute!! What a lovely card. This also a suite i love to use often. This is a great stamp set and the paper pack is fantastic! Thanks for joining this team!! Great card, Allie. You did a great job on your video too! Thank you for getting us all together! Glad you liked it Jo Anne! I’m so glad this team was formed! I am enjoying collaborating with this amazing group of designers!! You all are amazing! Such a pretty card, I have this stamp set and I've not even used it yet, must pull it out! Wow, you've been a Demo for 11 years! That's great, me only two. Thanks Linda!! Yes 11 years 😱😱 though all this time it was more just a hobby of mine and getting the discount, about a year and half I decided to step it up as a business!! I am sure you will see how great Stampin’ Up! is..
Another birthday card easy to make! Quick and easy Birthday card! !